Michael Brian Young is a Major League Baseball infielder for the Philadelphia Phillies. He has been named to Major League Baseball All-Star Game seven times. In 2005, he was the American League batting champion. 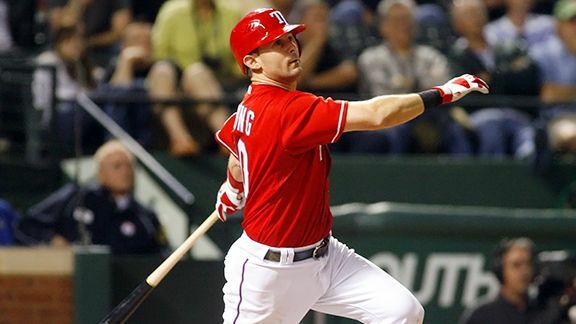 PHILADELPHIA — It wasn’t easy, and it certainly wasn’t quick, but the long-simmering deal that made Rangers icon Michael Young the Phillies’ new third baseman finally became official on Sunday. With that, after a cautious start to the offseason, the Phils addressed their two most pressing offseason needs within a matter of days. They had also been seeking a center fielder, and checked that off the list as the Winter Meetings in Nashville, Tenn., were wrapping up on Thursday, with the deal that brought Ben Revere from the Twins for right-handers Vance Worley and Trevor May. Young, 36, the Rangers’ all-time leader in games, at-bats, runs, hits, doubles and triples, had the right to veto any trade. However, staying in Texas would likely have meant a utility role and less playing time. With the Phillies, he’ll be penciled in as the everyday third baseman. Injuries to Placido Polanco meant the team had seven different players start at least one game at the hot corner in 2012: Polanco, Kevin Frandsen, Mike Fontenot, Ty Wigginton, Pete Orr, Michael Martinez and Hector Luna. He’s a seven-time All-Star, who didn’t have his best offensive season in 2012. 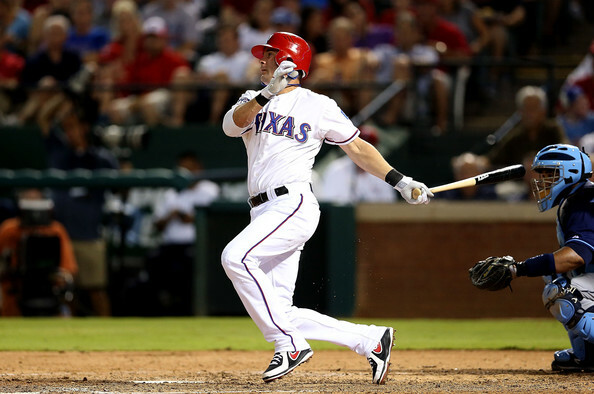 Young played in 156 games for the Rangers last season, batting .277 with eight homers, 67 RBIs and a .682 OPS. “Clearly, this brings a wonderful package to what we’re trying to do here in Philadelphia,” said Phillies general manager Ruben Amaro Jr. “One, he’s a very, very good ballplayer. He has a tremendous track record. He has all the elements we’re looking for. “First of all, the make-up is extraordinary. He’s the ultimate team player. He knows how to play baseball. He’s a winning baseball player. He’s had the opportunity to be in big games in the playoffs, and he just fits real well. The fact that he hits right-handed helps balance our lineup out a little bit, as well. I just think all the elements he brings to the table for us are very, very positive. The Phillies hope he can rebound, but are also trying to stabilize the third base — while giving Cody Asche, who played last season at Double-A Reading, more time to develop. The Rangers received right-handed reliever Josh Lindblom and a Minor League pitcher, Lisalverto Bonilla in return. The guidelines of the trade were agreed to in Nashville, but it took days for Young to agree to waive his no-trade clause and for the Commissioner’s office to approve the money involved. The Phillies will pay $5.5 million of the $16 million Young will make in the final year of his contract next season. In addition, the teams will split the additional $1.2 million that Young negotiated to accept the trade, in part to cover the difference in state income tax between Texas and Pennsylvania. Lindblom 25, was acquired from the Dodgers along with Ethan Martin and a player to be named, which turned out to be Stefan Jarrin, for Shane Victorino at the Trade Deadline. 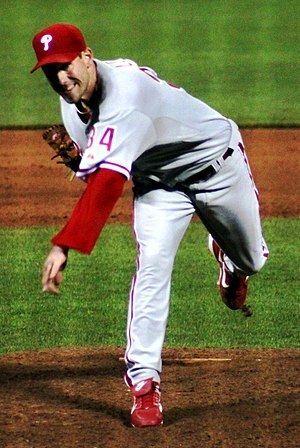 He spent the remainder of the season with the Phillies, going 1-3 with a 4.63 ERA in 26 appearances. Bonilla, 22, is an intriguing player. After being converted from starter to reliever, he pitched himself onto the Phillies’ radar this season. After starting the season at Class A Clearwater, he was promoted to Reading and was named to the Eastern League Mid-Season All-Star team. He was a combined 3-2 with a 1.55 ERA when he was picked for the Futures All-Star Game in Kansas City, and was ranked as the team’s No. 15 prospect by MLB.com. However, he injured his right thumb while involved in what was reported as “horseplay” the night before that game and didn’t pitch again in ’12. He’s currently 1-4 with a 6.92 ERA in 15 games for the Leones del Escogido in the Dominican Winter League. “Lindblom was one of the guys who was very important for us when we traded Shane Victorino,” Amaro said. “I think, just by virtue of the fact that we didn’t have an eighth-inning guy, we put him in a position to pitch in the eighth. He may very well do that very proficiently at some point, but he’s probably not ready to do that quite yet. He’s probably more comfortable in the sixth and seventh [innings]. That may be his bailiwick. That may change moving forward. But we had to put him in a position he probably, frankly, wasn’t ready for. He had a tough time of it at times. But he’s a very good pitcher. Now, Amaro will turn his attention to addressing other needs. “Obviously, with the hole that was created by the move with Vance Worley to get Ben, we’re looking at the possibility of getting a little bit of depth there. [Tyler] Cloyd and [Jonathan] Pettibone will fight it out. Maybe Martin or somebody else will step up at some point. Or maybe even [Adam] Morgan. “But we’ll probably look to add a low-risk, high-reward type of guy or somebody who’s come back from an injury or someone like that who can battle for that fifth spot. A lot of teams have had some success looking for that guy late in the season and finding that productive guy. So that’s one possibility. We’re still looking into the bullpen and trying add a veteran presence there, as well. And if we can do a little bit more for our outfield, we’ll consider that, as well. 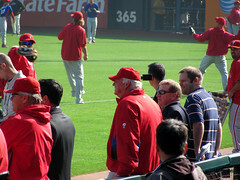 Phillies manager Charlie Manuel is going to love Michael Young — and so will Jimmy Rollins, Ryan Howard, etc. Young will fit nicely on a team that prides itself on playing the game right, on playing hard and on competing like crazy. If that sounds like basic stuff, it is. At least it is for the good teams. And some teams do it better than others. When the Phillies were winning five straight National League East division championships between 2007 and 2011, they played with toughness and an edge. Young plays that way, too. There are legitimate questions about how good he still is, about his power and defense and all the rest. But he did hit .277 and have 27 doubles in 2012 in his worst season in a decade. In terms of presence and being a good teammate, the Phillies simply couldn’t have found anyone better. Young’s legacy with the Rangers should not be underestimated. First, he’s one of the most decent people you’ll never meet. It’s almost impossible to imagine anyone disliking Young. He led the Rangers out of the Alex Rodriguez years — back to a clubhouse environment that was about 25 guys instead of one. He helped lead them back to winning, too, as Rangers general manager Jon Daniels began accumulating talent and doing his job better than almost anyone. Along the way, Young became the face of the franchise and its most popular player. He was one of baseball’s best players for about seven years. Between 2004 and 2010, he averaged 18 home runs and 50 walks a season, while compiling an .819 OPS. He leaves the Rangers as a seven-time All-Star who twice finished in the Top 10 of American League Most Valuable Player balloting. His numbers can’t be measured just in his play on the field. He was the leader of the Rangers, their spokesman and the guy who set a tone. When Yu Darvish joined the Rangers last offseason, some of us wondered how comfortable he’d be, given the cultural leap from Japan to Texas. Young was a large reason for that environment. Third baseman Adrian Beltre probably took on more of a leadership mantle last season as Young’s play declined. But the Rangers probably don’t win back-to-back AL championships in 2010 and ’11 without Young’s contributions, both measured and otherwise. Daniels had toyed with trading him twice before. Young had a tough time swallowing those discussions, and also the moves from second base to third to first. He always did what the Rangers believed was best for the team, but he didn’t always agree. He twice asked to be traded, but rescinded both demands and apologized to teammates for being a distraction. Because Young was the face of the franchise, because his power declined dramatically the last two seasons — from 21 home runs in 2010 to 11 and eight the last two years — Young became the No. 1 target of criticism from fans on talk radio and blogs in Dallas-Fort Worth. It’s always odd to see fans turn on some of the guys who’ve performed the best and attempted to do everything correctly. But Young never lashed out. If he was angry — and he surely was — he never showed it. 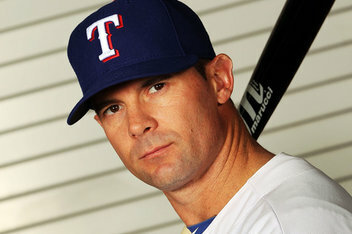 He has agreed to be traded to the Phillies, as Daniels is attempting a dramatic reshaping of the Rangers. 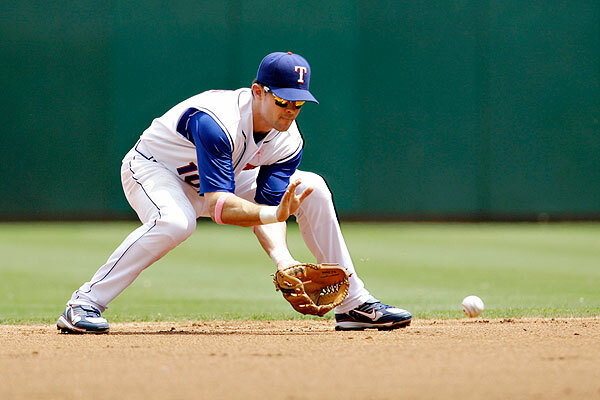 Part of that reshaping is moving second baseman Ian Kinsler to first and inserting highly-regarded rookie Jurickson Profar at second. Meanwhile, the Phillies have an opening at third base. It’s a no-risk move, since the Rangers are paying most of Young’s salary. Knowing how prideful Young is, there won’t be many more motivated players next season. He’ll love Philadelphia because the ballpark will be filled and the clubhouse has a bunch of guys — Howard, Rollins, Cole Hamels, Chase Utley — who are accustomed to winning and know how to win. That’s what Young has always been about, too. He had a terrific 13-year run with the Rangers. Regardless of what he does in this next chapter of his career, he’ll always be a Texas Ranger, one of its most popular and productive players ever. Here’s to another great season or two or three from one of the really good guys. Richard Justice is a columnist for MLB.com. Read his blog, Justice4U. This story was not subject to the approval of Major League Baseball or its clubs. via The Week Ahead: MLB pennant drives kick into high gear | MLB.com: News. We’re moving into the second week of August. The dog days are upon us. September isn’t that far away. That means October isn’t, either. In baseball terms, this means things are getting serious, and this week, we’ll start seeing how serious. This is the first full week of play after the July 31 non-waiver Trade Deadline and the second week of the open period in which we might see a few juicy waiver deals. This means new faces in old places, and a whole lot of eyes on just how effective these marriages will be. The Angels might be wondering more than anyone, having brought in the pitching prize of the trade season, starter Zack Greinke. Mike Scioscia‘s club gets a stern test of its mettle early this week in tough road games against the division-rival A’s, and Greinke’s contributions every five days won’t matter much if Scioscia’s bullpen can’t get it together better than it has in recent days. “We’ve had a rough three weeks as far as our starters, and what our starters do obviously has an impact on your bullpen roles,” Scioscia said after watching his relievers struggle again Sunday in a 4-2 loss to the White Sox in Chicago. Meanwhile, the Dodgers, who are right there with the Giants and the surging D-backs in a wide-open National League West, did more than anyone at the Deadline, landing Hanley Ramirez, Shane Victorino and Brandon League. Then they got starter Joe Blanton in a waiver deal with Philadelphia. So of course Blanton did his job Sunday, turning in six innings of two-run, five-strikeout ball in a no-decision, and Ramirez did his, winning the game against the Cubs with a walk-off hit. Now they head into the new week with a revamped roster, three home games against struggling Colorado, and only a half-game division deficit. Things are looking up. Mattingly’s sentiments are shared among a number of clubs, including the team right there with the Dodgers, Bruce Bochy’s San Francisco Giants, plus the red-hot Reds, the first-place Rangers, the first-place Nationals, the AL East-leading Yankees and other contenders in an increasingly intriguing drive toward pennants. For Cincinnati, which lost for the first time in six games on Sunday but remains in charge in the NL Central, the week will bring a road test: three games at Milwaukee and four at Wrigley Field against the Cubs. But the Reds are hungry. The Chicago White Sox want more, now that they’re back in control of the AL Central. Their early big trade acquisition, Kevin Youkilis, homered again Sunday and is looking more and more like the Kevin Youkilis of 2007 and 2008. Their new reliever, Brett Myers, is fitting in. This week, Robin Ventura‘s gang, which just took a series from the Angels, stays home for three against the Royals and three against the A’s. Lefty Chris Sale will be back on the mound after 10 days of rest. They hope to keep things rolling on the South Side. Contenders such as the Braves, Cardinals, Pirates and D-backs will be thinking the same things as they enter this pivotal week. So will the Orioles and Rays, a game apart for second place behind the Yankees. What will the new week bring? More drama. More clues to what we might see in the Division Series, Championship Series and Fall Classic. 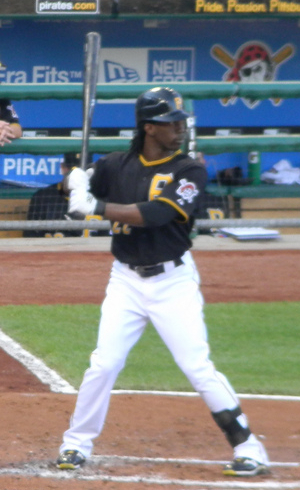 Just take it from Pirates MVP candidate Andrew McCutchen, who homered Sunday in his team’s road win against the Reds, an exciting type of situation that only figures to intensify in coming weeks. “Definitely,” McCutchen said when asked if it felt like October. How Many Wins Will the Phillies Need to Make the Playoffs? The Daily News ran a column this morning that set out to answer that very question. David Murphy did the leg work, and based on results from previous years, he concluded the Phillies need to reach the 88-win markto qualify for the postseason.The reasoning is simple. In each full season since the Wild Card was adopted in 1995, the club that would have earned the newly invented second WC spot finished with at least 88 wins on all but two out of 16 occasions. In practice, the path to get there is not nearly so simple. With a record of 33-37, in order for the Phils to reach 88 wins, they need to go 55-37 the rest of the way — and even that might not be enough. Nine times, or more than half, the runner-up’s win total actually eclipsed 88. Murphy seems to be operating under the assumption the Phillies won’t win the NL East, a conclusion we’ve more or less drawn on our own. Regardless, sneaking in through the back door doesn’t diagram much easier. The plan he sets out would require Cliff Lee, Cole Hamels, and Vance Worley to revert to their 2011 performances, when the club combined to go 39-17 over their last 56 combined starts. So far this season, the Phils are 11-3 when Hamels starts, but 7-14 when Lee or Worley are pitching. Lee and Worley have also missed games due to injury. That’s an optimistic projection, though clearly achievable. Plus Roy Halladaywill eventually return, which should help prop up the rest of the rotation, and actually lessen the load on the other three.Yet you can see how staggering a hole the Phillies are in when you break it down like that. A team that has been hovering around or below .500 for the majority of the year likely needs to win at close to a .600 clip for the next three months — and they’re still missing players. Think they have it in them? The result of Thursday night’s Philadelphia Phillies game, a 4-1 loss to theColorado Rockies, pretty much sums up how the entire season has been going. Citizen’s Bank Park, a place that boasts loud and passionate fans, used to be a place that other teams dreaded to play in. The home-field advantage was never more obvious than when the Phils took the field at their stadium in the heart of their beloved city. 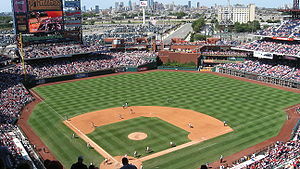 In 2012, however, it has just been a place where the Phillies play their home games. Nothing much is special about it, no added advantage is obvious. The team isn’t winning any more games at home. They aren’t winning games period. Nothing has been easy for the Phils this season. Whether it has been the injuries to key members of the team, uncharacteristic errors in the field, a lack of success against other teams’ bullpens or just an inability to score with runners on base with less than two outs, the championship formula this team has had in the past few years is not there. Morale is down and frustration is obvious. It is on the faces of the players, the dumbfounded looks of the manager and the disappointment from the fans. This team needs something, well a lot of things. It needs to get help in the bullpen. It needs to get its ace and sluggers off of the DL. It needs its other ace to find a way to win a game. It needs to score more runs. It needs to make less errors, both mental and on the score sheet. It needs to take action, to play inspired baseball. Most importantly, this team needs to get its swagger, its confidence, its personality back. Most of what the Phils need, most of what I described, is embodied in the heart and soul of one player. He is someone who doesn’t shy away from a challenge, someone who plays with grit and passion, someone who is a leader. He may have arthritic knees but that doesn’t change the fact that when healthy, he can really smack the cover off of a baseball. Will Chase Utley’s return make the Phils a better team? If you haven’t figured it out, the person I am referring to is All-Star second baseman Chase Utley. Having yet to face major league pitching and the wear and tear of major league fielding, Utley is close to making his 2012 debut. In fact, according to a recent report via AOL Sporting News, Utley could be back before the calendar turns to July. While Utley’s return has been long anticipated, at this point in the season, one has to wonder if it will be enough or if the Phils have already dug themselves a hole too deep to climb out of. Even then, a bigger question arises. When Utley comes back, how will he be? Will he go back to how he was pre-2011? Will he be able to play back-to-back games? Will his knees hold up for the rest of the season? With all of these questions and so far, not enough information to create the answers, it is hard to predict how Utley’s return will impact the team’s chances at a sixth consecutive playoff berth. If Utley is healthy, however, and returns to the form he has had in the best years of his career, it would not be surprising to see the Phillies once again atop the NL East. On the field, Utley brings solid defensive skills. He has never been perfect in the field but it is something he has invested time and energy in improving. With the bat, Utley has offensive prowess. His quick swing enables him to get the barrel on the ball and helps him get around on pitches. He grinds out each at-bat and is rarely ever an easy out. Something else that the Phillies desperately need is situational hitting and when at his best, Utley does this as well as anyone else in the game. With a runner on second, nobody out, such as in Thursday’s game when Ty Wigginton led off the inning with a double, Utley knows what he has to do and more often than not executes. In addition to what Utley offers with his bat and his glove, depending on his knees, he can also be a threat on the bases. Although not the fastest, Utley has also had good career numbers in base stealing percentage. Just like every other aspect of his game, he works so hard at it and as a result, when he does run, he picks his moments, and more often than not, he chooses them wisely. In the dugout, in the clubhouse, in the locker room and on the field, Chase Utley is a leader. For someone who keeps his life relatively under wraps in terms of the media, Utley has proven himself to be a vital part of who the team is. Much of the confidence, swagger and personality this team alludes comes from the way Utley plays the game. The younger players on the team imitate him and the older players respect him. 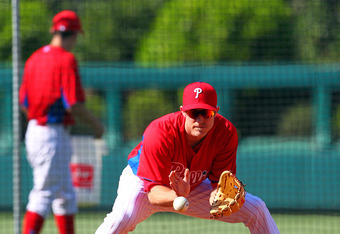 If Jimmy Rollins is the fire and Ryan Howard is the heart of the line up, Chase Utley is obviously the soul. Without its heart and soul, Rollins’ fire is just an extinguishing flame. It goes without saying that with Utley back, this team will start to get some of its morale back. Rollins’ flame, which has been starting to light up, will catch fire. Led by Rollins and Utley, the rest of this offense will catch fire too, just in time for a late playoff push in the heat of the summer months. So even though the Chase Utley Phillies fans will see is still in question, what isn’t in question is what he means to this team. So much of Utley’s value is not measured in a box score. It is in the intangibles he exudes just when he takes the field. For the Phils, getting Utley back will impact their playoff chances and could very well make them a playoff team again. No matter what, though, the Phillies will be an interesting story to watch as the final, pivotal months of the season are underway. The Phillies Golden Age 2004 – 2012.. The Rise & Fall? A look into what we are witnessing as possibly the beginning of the end of what has to be considered historically as the Phillies finest 9 year run in their 130 years as a professional baseball club. Some may argue that the Phillies run over the course between 1975 and 1983 was an equal if not better 9 year period of prowess. Of course you may also consider the world possibly ending in December according to the Mayan Calendar followers. What fans have had in the back of their minds as this season continues to unfold are now becoming evermore present in the forefront and increasing in numbers. There is something in the air. It’s tangible and you can smell it. No it’s not the stink of the refineries wafting across the city. It is emanating from “The Bank”, Citizens Bank Park. I watched Cliff Lee surrender 5 runs the other day and Roy Halladay do the same last night. Overall they weren’t bad efforts. Although not what you would expect from either starter. When you have a lineup that produces 0 – 3 runs most nights it is a problem. A major one at that. Cole Hamels suddenly is the go to guy that is pumping out consistent starts and victories. Actually the Phils are batting well as a team hits and average wise. How many times have the Phils had two runners in scoring position with 0 to 2 outs and the innings ended with a big fat goose egg? It’s all about power. A miserable lack of it. It became glaringly clear toward the end of last season and after the team’s quick exit from the playoffs. It was obvious that this was the main issue that needed to be addressed in the off season. The Phils did take care of it – well sort of. The lack of power from the bench was given a boost with the acquisitons on veterans like Thome, Wiggington, Nix, etc. As far as the everyday lineup goes zilch was done. If you’ll remember at the latter part of last season with the Phils whimpering to the finish line (the 1st round of the playoffs defeat to the Cardinals) they did so with Utley and Howard in the lineup. Everyone is sitting on their hands waiting for the second coming believing Utley and Howard will be their saving grace. Will that be the case? One has to wonder with both players numbers waning. The timely hitting morphing into whiffs and groundout double plays. Scoring opportunities fizzling and rallies killed. Surely with Utley and Howard back in the daily mix the Phillies will be a better team. But how much better? Will it be enough to turn the season around? With the Braves, Nationals, Mets and Marlins all far improved and knocking on the NL East”s Division Champs door will the Phillies win 102 or 82 games? When Utley returns how long will he remain healthy? It’s a shame a guy that once looked to be a sure fire future Hall Of Famer has had his career basically turned upside down with injury upon injury. With the Phillies fortunes currently on the wane the fans are starting to get a bit restless. Especially with poor play on the basepaths and runners left on base. How much longer will the teams 250+ sellout streak continue? Have you noticed a change in the sound of the crowd? The Phils Phaithful are smart and sharp. They know their baseball and how the game is supposed to be played. With the support of the fans attendance the dough has been rolling in to enable big names and big contracts to happen in Philly. What happens when the coffers start to dwindle? If things continue on the current course will the Phillies initiate a fire sale come mid-season and head into a new direction? As with the game of life all things will be answered it’s all a matter of time and circumstances. With just 1/4 of the season gone anything is possible and anything can happen. Just ask the 2011 World Champion St’ Louis Cardinals. SCOUTING REPORT: May is a big, strong pitcher with a solid repertoire that includes a 90mph to 95 mph fastball. He also has a potentially plus curveball, a changeup and a new-found slider. His delivery gets out of whack at times, which causes his command to suffer. As a player from a cold-weather state, he’s always been a little behind prospects from sunny weather locales, such as California, Arizona and Florida — but he’s definitely playing catch-up now. YEAR IN REVIEW: Brody Colvin took a step back in 2011, and Jarred Cosartwas traded to Houston, so May’s breakout season was more than welcomed by the organization. 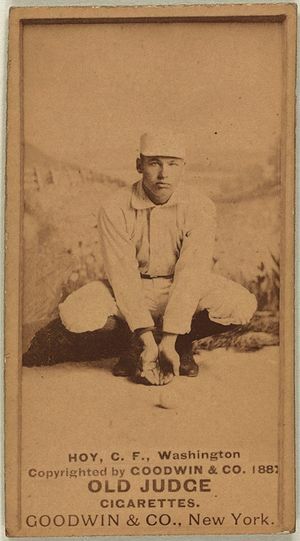 The right-hander pitched a career high 144.1 innings and had a 2.69 FIP. He maintained an outstanding strikeout rate (12.10 K/9), but his control remained inconsistent (4.05 BB/9) — and that is the biggest thing preventing him from becoming an elite pitcher. YEAR AHEAD: May will move up to double-A in 2012 and he isn’t far from contributing to the big-league team. Still, he needs to polish his secondary pitches and improve his control. CAREER OUTLOOK: May has the potential to develop into a No. 2 starter – especially if he commands his fastball at the major-league level. He has the frame to become an innings-eater. SCOUTING REPORT: A Philadelphia native, Biddle changed his commitment to the University of Oregon and signed with his hometown team. So far, it appears that he made a smart decision. The lefty has the potential to develop into a No. 2 starter, especially with his solid two-pitch mix that includes a low-to-mid-90s fastball and potentially plus changeup. He’s also dabbled with both a curveball and a slider. YEAR IN REVIEW: Biddle has a strong frame and he showed his durability by increasing his innings total from 2010 to 2011. His overall numbers would have looked even better if not for his slow start in April. He allowed 13 earned runs that month (16.1 IP) and, by comparison, just 14 in the season’s second half (66 IP). 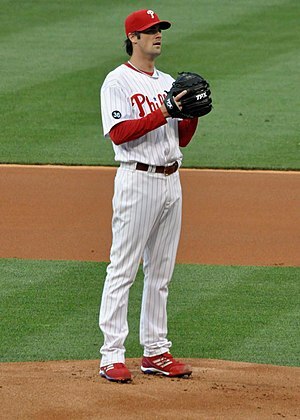 YEAR AHEAD: If he has a breakout season, Biddle could challenge May for the organization’s top prospect in 2012. The southpaw should open the year in high-A ball but he could be in double-A by the beginning of July. The big things he needs to work on are his control and the development of a consistent breaking ball. CAREER OUTLOOK: Biddle is an exciting young player and he’s a few improvements away from being one of the better pitching prospects in baseball. He could end up pitching near the top of the rotation before too long. The opportunity to watch — and potentially learn from — veterans Roy Halladay and Cliff Lee could make a big impact on his career. SCOUTING REPORT: If he were a little more patient, Valle would probably be discussed among the Top three-to-five catching prospects in the game. Offensively, he flashes above-average power due to good bat speed, but he doesn’t always make contact with best pitches. Early in his career behind the plate, he struggled throwing out base runners — but he has improved immensely during the past two seasons. He calls a good game and he has strong receiving skills. YEAR IN REVIEW: Valle had a decent year at high-A in 2011. He produced the second-highest batting average of his career at .284 (.360 BABIP), but his power dropped from .174 ISO in 2010 to .109 last season. His modest patience also took a step back (his walk rate fell from 5.6% to 3.6%). Valle might benefit from returning to high-A ball for the first month or two in 2012. YEAR AHEAD: Valle didn’t hit well in the Mexican Winter League, so double-A may be a bit of a stiff test for his over-aggressive bat in 2012. Even so, he should reach the majors perhaps as quickly as the second half of 2013. CAREER OUTLOOK: The Mexico native is definitely the Phillies’ backstop of the future and he should be able to offer at least as much value as current starter Carlos Ruiz. If Valle can’t get his impatient ways under control, though, he’ll likely fail to reach his full potential. SCOUTING REPORT: When he’s on, Colvin shows that he has the makings of three average — or better — pitches. His fastball can reach 97 mph, but it often sits in the low-90s. He also features a curveball and a changeup. Colvin doesn’t have the smoothest mechanics and he throws across his body, which increases ball movement but hurts his control and also raises injury concerns. YEAR IN REVIEW: Colvin battled injuries in 2011 and his numbers suffered. 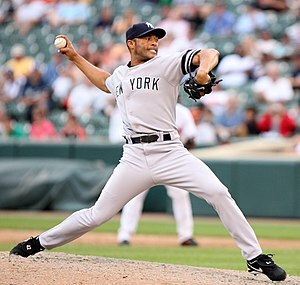 After pitching 138 innings in 2010, he managed just 116 in 2011. His strikeout rate also dropped – from 7.83 to 5.97. YEAR AHEAD: Colvin could begin 2012 back in high-A ball. He has good stuff but he hasn’t dominated at any level. With improved command of his pitches, he could really break out – especially if he can shake the injury bug. CAREER OUTLOOK: Colvin has yet to prove his durability, but he has the potential to develop into a No. 2 or No. 3 starter down the road. There has also been talk of trying to develop him into a high-leverage reliever. The likes of Trevor May and Jesse Biddlecould make that move more palatable. SCOUTING REPORT: Pettibone is nowhere near as flashy as some of the other arms on this list, but he has the potential to develop into a No. 3 starter. He throws in the low 90s with his fastball but it can touch 94 mph. He also has a good changeup and a decent slider. His control is above-average for this stage of his development. YEAR IN REVIEW: Pettibone produced some sparkling numbers at high-A ball in 2011, including a 2.92 FIP and a 1.90 BB/9. His strikeout rate, though, was low for the second consecutive season (6.43 K/9). He handled both right- and left-handed hitters equally well in 2011. YEAR AHEAD: Pettibone should spend the year in double-A, although his above-average control gives him a chance to eventually reach triple-A in 2012 — and the major leagues some time in 2013. Further development of his secondary pitches will help him compete at the upper levels of the minors. CAREER OUTLOOK: Although he can get some zip on his heater, Pettibone is more of a pitch-to-contact, control-type hurler. He has a big, strong frame to be an innings-eater and there is definitely room for him to improve as he learns to pitch off his fastball. 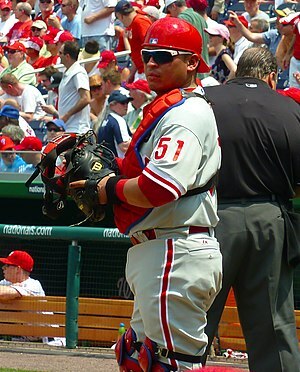 SCOUTING REPORT: The breakout hitting prospect of the year, Franco wasn’t on anyone’s radar entering the 2011 season. He showed a solid eye at the plate and displayed good power potential, although he’s still learning to drive the ball consistently. Franco doesn’t exactly have an athletic body but he plays the position well and has a strong arm. YEAR IN REVIEW: Franco did not turn 19 until part way through 2011, making his numbers all that more impressive. He hit for average and for gap power in short-season ball, while also showing a solid eye at the plate (10.9 BB%). He didn’t perform well during a late-season promotion to low-A. YEAR AHEAD: The third baseman will take another shot at low-A in 2012 and he should spend the entire season there working on driving the ball. The organization lacks third base depth so another strong year could increase Franco’s hype. CAREER OUTLOOK: Franco has the potential to be at least average on both defense and at the plate. He will have to watch his conditioning, though, as he’s already thick through the trunk. He’ll also need to see his power translate from gap to over-the-fence power if he’s going to be an everyday player at the hot corner. SCOUTING REPORT: James has a lot of potential but the organization left him unprotected during this year’s Rule 5 draft and he went unclaimed. The outfielder has been hitting for just two seasons after originally turning pro as a pitcher. Injury woes, though, put an end to his time on the mound. James could develop into a three- or four-tool player with his power being the least developed skill. He has good defensive skills and base-running speed but both areas remain raw. YEAR IN REVIEW: In just his third year as a hitter, James spent the season in high-A and held his own. The switch-hitter showed that he’s much stronger from the left side of the plate (.721 OPS vs .608 OPS in 2011) and the organization might want to abandon the switch-hitting to help accelerate his learning. 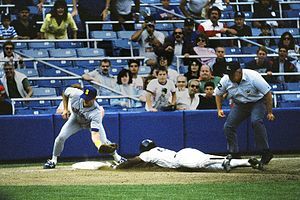 As mentioned above, James has good speed but he got nabbed 16 times in 47 stolen-base attempts. YEAR AHEAD: Double-A will be a stiff test for James in 2012, as he’ll have to tone down his aggressive ways at the plate. He’ll likely needs a full year of development at double-A before moving up. CAREER OUTLOOK: I’m more than a little surprised that no one took a chance on James in the Rule 5 draft but there are still a number of questions surrounding his game. If the organization is patient, though, he could develop into a valuable contributor in Philadelphia. SCOUTING REPORT: To say Aumont has had an up-and-down career is an understatement. A former Mariners’ first round pick, Aumont was the top prize when Philly traded for Cliff Lee. Originally a starter, Aumont was moved to bullpen permanently. The move allows him to focus on his two plus pitches: a mid-to-high-90s fastball and a curveball. Both his command and control need a fair bit of work. YEAR IN REVIEW: Combined between two levels, Aumont struck out 78 batters in 53.2 innings — so that gives you a bit of an idea of how good he could be at the major-league level. Perhaps even more impressively, he allowed just two home runs all season and posted an outstanding ground-ball rate in double-A. YEAR AHEAD: Aumont had solid numbers in both double-A and triple-A, giving him an outside shot of breaking camp with the Phillies in 2012. More likely than not, though, he’ll be given the opportunity to build up his confidence (and sharpen his command/control) with a few more months in the minors. CAREER OUTLOOK: Aumont clearly has the stuff to close games someday, but it remains to be seen if he has the emotional fortitude to handle the role. At this point, I’m betting against that — but he’s still young and he has time to mature as a pitcher. At worst, he should have a Kyle Farnsworth-type career. SCOUTING REPORT: Although not as high-profile as Aumont, De Fratus also benefited from a permanent move from the starting rotation to the bullpen. It caused his stuff to jump up a notch and he reached the majors in 2011. 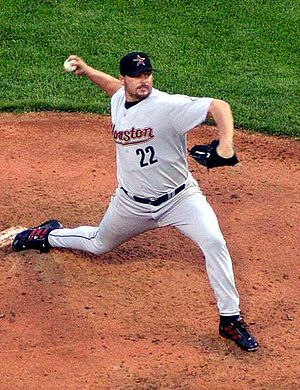 His repertoire includes a low-to-mid-90s fastball, a slider and an occasional changeup. YEAR IN REVIEW: Like Aumont, De Fratus split his season between double-A and triple-A (while also pitching four innings in the majors). He struck out 99 batters in 75.1 cumulative minor-league innings. He also produced above-average ground-ball rates. YEAR AHEAD: De Fratus has a very good opportunity to break camp with the Phillies in 2012 but he should be eased into late-game situations and might mostly see action in the sixth and seventh innings. CAREER OUTLOOK: De Fratus is a big, strong pitcher who has been extremely durable to this point. He could have a lot of value in the Phillies ‘pen next year. He’ll likely top out as a high-leverage, eighth-inning reliever. No matter how you slice it, he was an exciting find while he was pitching for a small community college. SCOUTING REPORT: The organization’s first pick in the 2011 draft (39th overall), Greene is a raw but powerful Georgia outfielder. There are some concerns about his bat speed but he hits massive home runs when he makes contact. He’s expected to produce a lot of strikeouts and not hit for much average — but he’s also still very young. YEAR IN REVIEW: Greene signed too late to play pro ball in 2011. YEAR AHEAD: The outfielder will likely open 2012 in extended spring training before heading to rookie ball in June. He will be a slow mover who could spend two years in short-season ball before hitting full-season A-ball in 2014. CAREER OUTLOOK: Greene has the potential to develop into a 30-home run machince if he makes necesary adjustments and gets his bat started a little earlier. He likely won’t provide much defensive vale and he could end up moving to first base if he can’t hack it in left field. 11. Freddy Galvis, SS: I’m not a huge Galvis fan, but he has potential value as a young, switch-hitting infielder with a plus glove. His bat took a big step forward in 2011 and he hit for a more consistent average and showed more gap power. 12. Roman Quinn, SS/OF: The club’s second round pick, Quinn has 80 speed on the base paths. He’s learning to switch hit, which could increase his value as it will help him beat out even more infield hits. His ultimate position will also impact his overall value; he was an amateur shortstop but he’ll likely end up in center field. 13. Lisalberto Bonilla: The right-hander had a nice season and showed good control for his age. His repertoire features a low-90s fastball that can touch 94 mph. His second-best pitch is a changeup, followed by a developing slider. He could develop into a No. 3 or a No. 4 starter. 14. Julio Rodriguez, RHP: On numbers alone, Rodriguez looks like a very impressive prospect. He struck out 168 hitters in 156.2 high-A innings in 2011 but he succeeds on command and mixing his pitches. His fastball works in the upper 80s. Ultimately, he should top out as a back-of-the-rotation starter or as a middle reliever. 15. Aaron Altherr, OF: Altherr is a raw athlete who has an outside shot to develop into a 20-20 hitter. He’s too aggressive at the plate right now and he needs to learn better pitch selection. Defensively, he could become a plus fielder. SLEEPER ALERT: Kyrell Hudson, OF: Hudson is another speedy, raw athlete. A former third-round pick in 2009, he has developed slowly. Still, he made significant strides in 2011 when compared to his two previous seasons. With that said, he still has a long way to go; and if he stagnates as a hitter, he has a plus arm that could turn him into a pitcher. Updated 1-Month MLB Power Rankings: Where Does Your Favorite Team Stand? Where does your favorite MLB team stand after the season’s first month? Despite their worst week of the season so far, the Rangers maintain the top spot after taking two of three from the Yankees, then dropping two of three to the Rays. 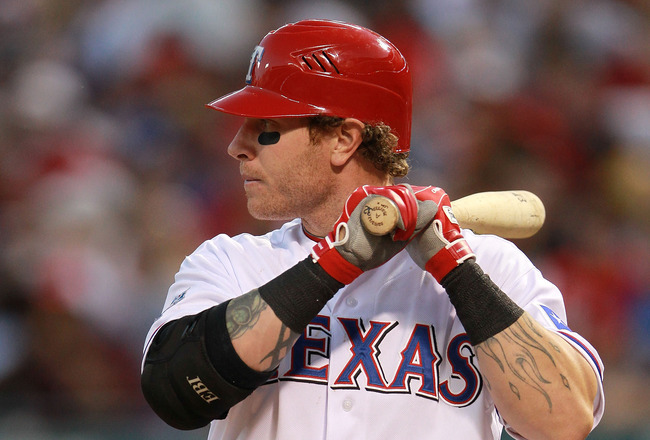 Josh Hamilton (.395 BA, 9 HR, 25 RBI) continues to be the AL version of Matt Kemp, while the rest of the offense is doing its part as well with five other players tallying double-digit RBI. The Rays proved the Rangers are human, but there is still little question that the Rangers are the best team in baseball right now. It was a fantastic week for the Rays as they swept the Angels at home before going to Texas and taking two of three from a Rangers team that was undeniably the best team in baseball going into the week. While the Rangers still get the nod over the Rays here, there is a lot to like about the Rays. From a deep offense that is light years better than last season to their immensely talented pitching staff, they could certainly challenge the Rangers for the top spot in the near future. After dropping two of three to the rival Cubs in Chicago, the Cardinals took two of three from the Brewers at home to maintain a three-game lead in the NL Central. The starting pitching outside of Adam Wainwright (7.32 ERA) has been phenomenal, and David Freese (.333 BA, 5 HR, 20 RBI) continues to carry an offense that has gotten consistent contribution up and down the lineup. The Dodgers dropped two of three to the Braves to open the week, but bounced back to sweep a good Nationals team for a 4-2 week that kept them atop the NL West and gave them the NL’s best record. 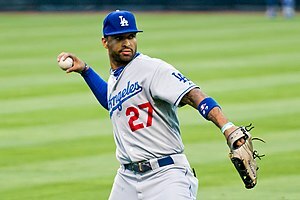 The offense has consisted almost exclusively of Matt Kemp (.425 BA, 11 HR, 24 RBI) and Andre Ethier (.277 BA, 5 HR, 24 RBI). While they have been great, the rest of the team needs to start hitting around them. Of note, Ted Lilly is very quietly 2-0 with a 0.90 ERA through three starts. A 4-2 week pulled the Braves even with the Nationals atop the NL East, as they took two of three from a good Dodgers team and finished up a series victory over the Pirates with a win on Sunday. The team pulled a shocker of sorts when they sent 2011 All-Star Jair Jurrjens (9.37 ERA) down to Triple-A, but the move corresponded with Tim Hudson coming off the disabled list, so the team should be fine in the short term. They are off to a good start, but there is a ton of room for improvement across the board in Atlanta. The difference between the No. 3 spot and the No. 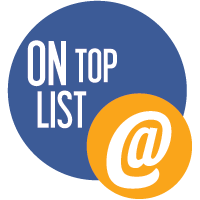 7 spot on this list is minimal, but a four-game losing streak left them at 2-4 on the week, and they fall a bit because of it. That said, I am still very much a believer in the Nationals, as their pitching (2.33 team ERA) is going to keep them in most games. The call-up of Bryce Harper should allow the Nationals to get some much-deserved national attention, and also gives them a boost not many teams can find in their farm system. After skeptically inching them up the rankings the past few weeks, I will officially admit I am now drinking the Orioles’ Kool-aid, as a 5-1 week that included a sweep of the Blue Jays has put them in first place in the AL East. With an offense that ranks 10th in runs scored and a pitching staff that ranks seventh in ERA, they are doing everything well right now. Five players have double-digit RBI, and J.J. Hardy (.181 BA) and Nick Markakis (.244 BA) are not among them. Once those two get going, the Orioles could be even better. The Yankees had a tough week on the schedule as they opened the week dropping two of three to the Rangers before taking two of three from the Tigers for a respectable 3-3 showing. However, they drop on this list due to the news that Michael Pineda is done for the year with a shoulder injury. With Phil Hughes (7.88 ERA) and Ivan Nova (5.18 ERA) struggling and Freddy Garcia (12.51 ERA) moved to the bullpen in favor of untested David Phelps, the rotation is once again a huge question mark. It was a tough week for the Tigers, as they were swept by the Mariners and then dropped two of three to the Yankees as they nearly doubled their loss total with a 1-5 week. On top of that, they released long-time Tiger Brandon Inge and lost Delmon Young indefinitely after he was arrested and charged with hate-crime harassment. They will look to get things back on track against the Royals and White Sox this coming week, and they still have to be considered among the AL favorites despite this hiccup. The Blue Jays completed a four-game sweep of the Royals on Monday before turning around and being swept themselves by the Orioles. They then took two of three from the Mariners for a 3-4 week. Edwin Encarnacion (.310 BA, 7 HR, 20 RBI) is 5-for-9 with three home runs and seven RBI in his last three games, and he’s been moved to the cleanup spot in hopes of better protecting Jose Bautista. The real story, though, has been their starting pitching, as four of their five starters have ERAs under 4.00. It was a busy week for the Mets, as they played eight games in seven days and at the end of it all walked away with a 5-3 record, including a sweep of the Marlins mid-week. They’ll be getting center fielder Andres Torres back from injury on Monday, shifting rookie Kirk Nieuwenhuis to left field as the lineup should be improved moving forward. As long as their pitching staff—especially the starters—keeps performing like they have, the Mets are on track to do much better than expected. The Giants dropped two of three to the Reds to open the week, but salvaged things by taking two of three from the lowly Padres for a 3-3 finish. Buster Posey (.353 BA, 4 HR, 9 RBI) has bounced back great from his injury last season, but the offense is still struggling to score runs. The biggest stat of the week for the Giants, though, was Tim Lincecum’s eight-inning, zero-run outing as he is back on track after a horrible start. After losing two of three to the Phillies to open the week, the Diamondbacks managed to finish 3-3 in taking two of three from the struggling Marlins. The team finally had enough of Josh Collmenter’s struggles (9.82 ERA), moving him to the bullpen and calling up their No. 8 prospect Patrick Corbin (1.67 ERA, 27 IP at Double-A) to make his big league debut. As long as they can consistently score runs, they should be able to find a rotation that works with perhaps the youngest starting pitching depth in baseball. After plummeting from 12th to 23rd in the rankings last week, the Red Sox seem to have righted the ship as they went 6-1 this week, sweeping the Twins before taking three of four from the White Sox. Led by David Ortiz (.395 BA, 4 HR, 18 RBI), their offense has been solid despite a slow start from Kevin Youkilis and the absence of Carl Crawford and Jacoby Ellsbury. Their pitching continues to be a question mark, but as long as they continue to post double-digit run totals like they did three times last week they’ll win games. The Reds moved to second in the NL Central with a 4-2 week, as they captured two of three from both the Giants and Astros. Jay Bruce (.296 BA, 7 HR, 17 RBI) is on fire right now, as the highly touted offense is finally performing up to expectations. Now if only the notoriously slow-starting Mat Latos (5.97 ERA) can start paying dividends, they’d be in pretty good shape. My feeling early on was that the Phillies’ pitching would be enough to outweigh their aging and injury-riddled lineup, but another subpar 3-3 week in which they dropped two of three to the Cubs again showed the holes in their roster. The unexpected trio of Carlos Ruiz, Juan Pierre and Ty Wigginton are the only everyday players with averages over .253, and Hunter Pence is the only player with double-digit RBI at 11. Kyle Kendrick has struggled filling in for the injured Cliff Lee, and all-in-all things just don’t look great in Philly right now. A rough week from the Tigers and a 3-3 showing by the Indians has put Cleveland in first place in the AL Central, as they dropped two of three to the lowly Royals before salvaging the week in taking two of three from the struggling Angels. The starting pitching has been hit-or-miss, and the offense has no true standout player at this point, but they continue to win games. In what looks to be a wide-open AL Central, they should be able to stay in contention if nothing else. The Brewers stayed in the division last week, taking two of three from the Astros before dropping two of three to the Cardinals in St. Louis. There is little doubt that the team misses Prince Fielder’s bat, and the struggles of Rickie Weeks (.193 BA) and Aramis Ramirez (.228 BA) have only magnified the loss. Their pitching staff may be a bigger concern, though, as Randy Wolf (7.17 ERA) and Yovani Gallardo (6.08 ERA) have struggled mightily. Last week, I was torn apart in the comments section for only moving the White Sox up one spot after a 4-1 week, my reasoning being I wasn’t sold on them just yet. Now, after a 2-5 week I can’t help saying I told you so. That said, the White Sox have been better than expected, led by Paul Konerko (.383 BA, 5 HR, 15 RBI) and Jake Peavy (3-1, 1.67 ERA), and their solid start could be enough to delay what was expected to be a full-blown rebuilding season. The Mariners swept the Tigers in Detroit to open the week before dropping two of three to the Blue Jays at home, but they have to be happy with a 4-2 week against two of the league’s top teams. They tallied 30 runs in their four wins and just two in their two losses, and that is how their season will go as they have the pitching to compete but will only be as good as their offense allows them. After giving them the benefit of the doubt through the first three weeks of the season, a 1-5 week and a the third-worst record in the American League simply can’t be overlooked. The Angels were swept by the Rays and dropped two of three to the Indians, ekeing out a 2-1 win on Saturday. The call-up of uber-prospect Mike Trout, who was hitting .403 in Triple-A, could be the spark the team needs to get things going. A hot streak by Albert Pujols (.216 BA, 0 HR, 4 RBI) certainly wouldn’t hurt either. A 2-4 week saw the Rockies drop two of three to the Pirates and Mets, although they did explode for 18 runs on Friday in a victory over the Mets. They acquired a good deal of starting pitching depth in the offseason, and they are already dipping into it as former A’s starter Guillermo Moscoso was called up with Jeremy Guthrie on the disabled list. The rotation has undoubtedly been their weakness to this point, with just one starter (Jamie Moyer, 3.14) with an ERA under 4.00. The A’s took two of three from the White Sox before dropping two of three to the Orioles, as they have struggled to find any consistency so far this season. Despite having the worst team batting average in all of baseball at .205, the A’s have managed to stay competitive thanks to their pitching staff. Jarrod Parker (6.1 IP, 1 ER, 5 Ks) could make them even better after looking strong in his first start. Now they just need to find someone who can hit the ball. The Pirates took two of three from the Rockies to open the week, then dropped two of three to the Braves in Atlanta as they held on to fourth place in the NL Central. They continue to score runs at an alarmingly low pace, with just 49 through 21 games, but their pitching has been fantastic—their 2.77 team ERA thanks ranks third in all of baseball. The Cubs are in the midst of their best stretch of the season thus far, as they took two of three from the rival Cardinals to open the week and completed a 4-2 week with a victory over the Phillies on Sunday. Tony Campana (.435 BA, 6 SB, 6 R) has provided a spark, taking over in center field for the departed Marlon Byrd, and the starting rotation has impressed, with Matt Garza throwing seven innings of one-hit ball to cap the week. A sweep at the hands of the Mets opened the Marlins’ week, and they dropped two of three to the Diamondbacks to close things out, as a 1-5 week dropped them to last place in the NL East. So far, the team has been perhaps the biggest disappointment in all of baseball. It starts with their superstars as Jose Reyes and Hanley Ramirez are both hitting .205, while Josh Johnson sports a 5.34 ERA. The Astros managed a 2-4 week on the road, taking one game each from the Reds and Brewers as they dropped to last place in the NL Central. The offense has been solid, led by Jose Altuve (.373 BA) and J.D. Martinez (19 RBI), but the team desperately needs someone in the rotation to step up alongside Wandy Rodriguez (2-2, 1.72 ERA). The Padres had a tough draw this week, facing the Nationals and Giants as they managed to win one game in each series for a 2-4 week. Their pitching is starting to come around, and their bullpen has been terrific, but that doesn’t mean much when they’re not scoring runs. Chris Denorfia (team-high .282 average) has moved into a starting spot in left field, but it’s going to take a lot more than that for the Padres to turn things around. Two losses to open the week pushed the Royals’ losing streak to 12 games, but they rallied to take the final two games of their series with the Indians before splitting two games with the Twins for a modest 3-3 week. However, they are still 0-10 at home on the season. Alex Gordon (.232 BA, 4 HR, 10 RBI) has begun to turn things around after moving out of the leadoff spot in the order, and if Eric Hosmer (.188 BA, 5 HR, 13 RBI) could follow suit it would go a long way toward helping the Royals at least find some consistency. With a win over the Royals on Sunday, the Twins managed to snap a six-game losing streak, as they were swept by the Red Sox to start the week before dropping one of two to the Royals for a 1-4 week. Josh Willingham (.353 BA, 5 HR, 15 RBI) remains the team’s offensive leader, while Joe Mauer (.325 BA, 1 HR, 13 RBI) continues to show he is finally healthy. However, they may have the worst pitching staff in baseball, and that will continue to keep them near the bottom of the rankings. Data is summed based on data available and may be missing some stats for some years.